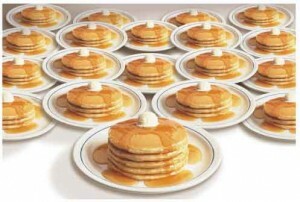 Scouts, Saturday March 21st is the Lion’s Club Pancake Breakfast. The Lacey Sunrise Lions Club is our Charter Organization and when they ask for help, we help! The pancake breakfast starts at 7 a.m. and goes until about noon. Troop 101 has the first shift, running from 7 a.m. to 10 a.m. If you can, plan on showing up at around 6:30 a.m. and have some breakfast and then start serving tables. If you haven’t done this before, its a fun time and you get to meet some fun and nice people. There is also a car show going on at the same time just outside, so during a break be sure to take a look at some of the the Corvettes! The Pancake Feed is held in the commons area of North Thurston High School.